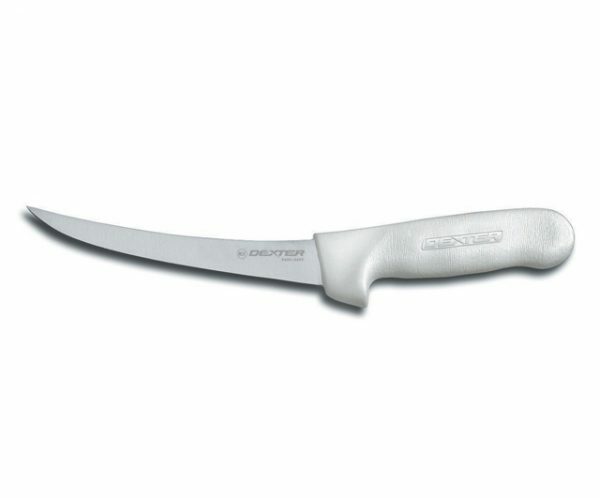 The Sani-Safe product line sets the standard for professional cutlery. Textured with slip resistance, the polypropylene handle withstand both high and low temperatures. 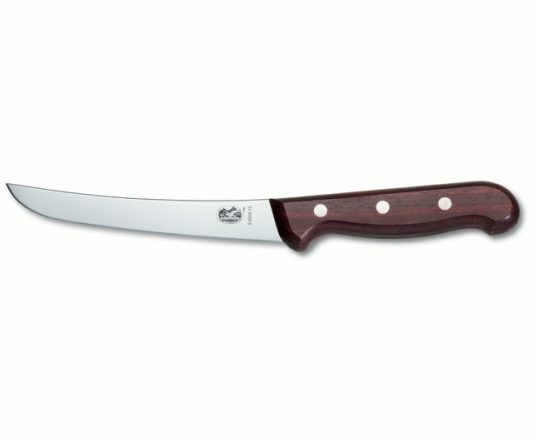 A very hygienic knife because of its impervious blade-to-handle seal. 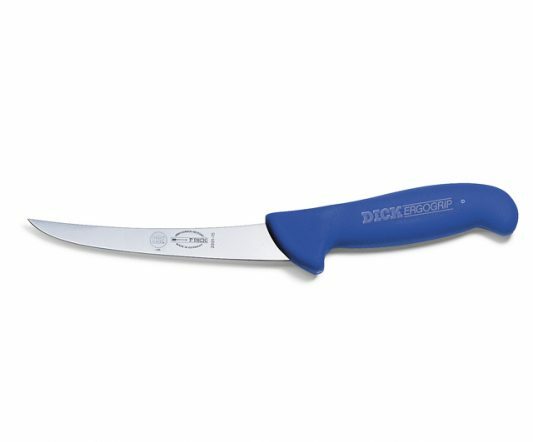 Dexter-Russell manufacture their blades from stain-free, high carbon steel, individually ground and honed. 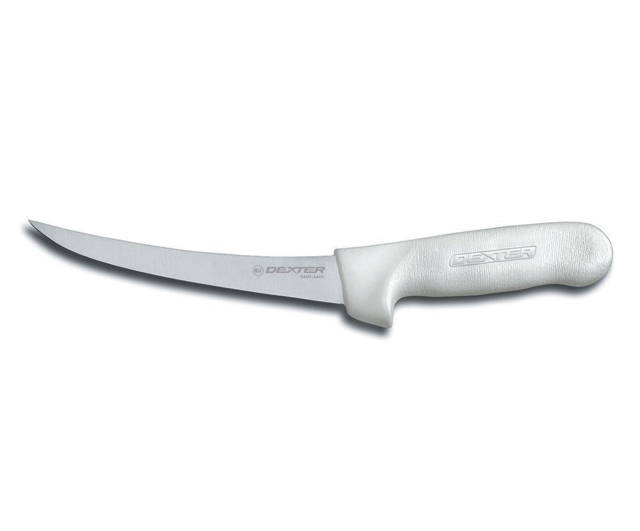 Stiff blade — 6″ / 15 cm — black or white handle.